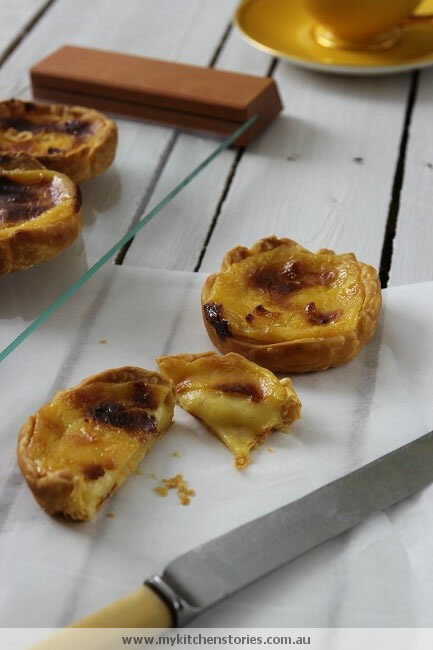 This is a quick Cheats version of a Portuguese Custard tart…. and well worth the effort. Cheats Portuguese Custard Tarts. Yes we all love them….but do we really want to be tempted with them at home?…..hell yeah. 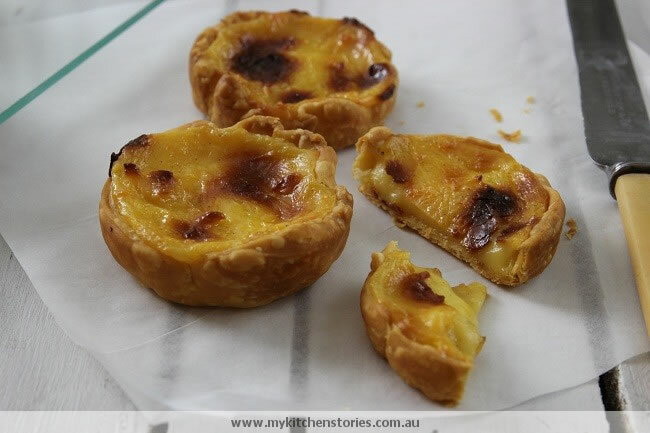 These are definitely the cheats custard tarts but they are all the same , straight out of the oven, a custard tart…………. no arguing there. They are really very quick if you just pre -prepare. A great one for a quick morning tea or if you need to take some sweet treat with you that you know people will like. I made these some time ago when I was doing Saturday cooking classes. They were very popular and a lot of people made them. This recipe was a combination of one found on www.notquitenigella and a recipe from Jamie Oliver. They work very well. Put the cornflour,sugar,vanilla and yolks into a bowl with enough milk to blend thoroughly, with a whisk. Add the remaining liquid the milk and cream and pour into a small pot and cook over medium heat stirring constantly till it thickens. It will not split because it has cornflour in it, so don't e afraid to let it come to the boil. Pour into a bowl , cover with cling wrap and chill. Put a little flour onto the bench and roll out the disc until it is rounded and thin and fits into your muffin tin. ( It doesn't need to be reach to the top of the muffin tine, just half way up the side) Fill the whole tin, then spoon in the custard leaving just a little room at the top. The pastry layers are mad and crazy and appear to be layered like a real Portuguese tarts ....don't skip this step. If you like My Kitchen Stories like me and make my day………………….. 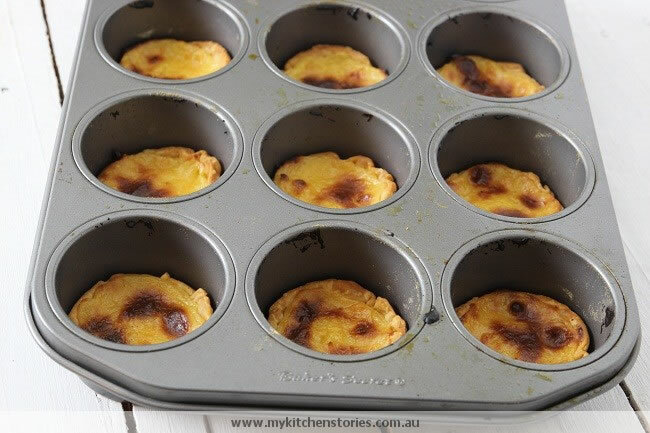 I love this “cheats” version of Portuguese custard tarts. So easy. And they look great as well! Thanks for sharing. hello…..thank you I so appreciate that! As you say, everyone loves custard tarts but I have never made my own. Thick cold custard is the best! I’m a sucker for tarts and these looks yum! I adore portuguese tartlets! They are so good hot right out of the oven! Love the tip about adding cornflour to prevent the milk and cream from splitting! Will have to try it. Oooh, they do sound good, Tania! 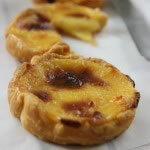 I used to love Portuguese tarts – bit tricky now as I’m a little sensitive to lactose. I do miss them!